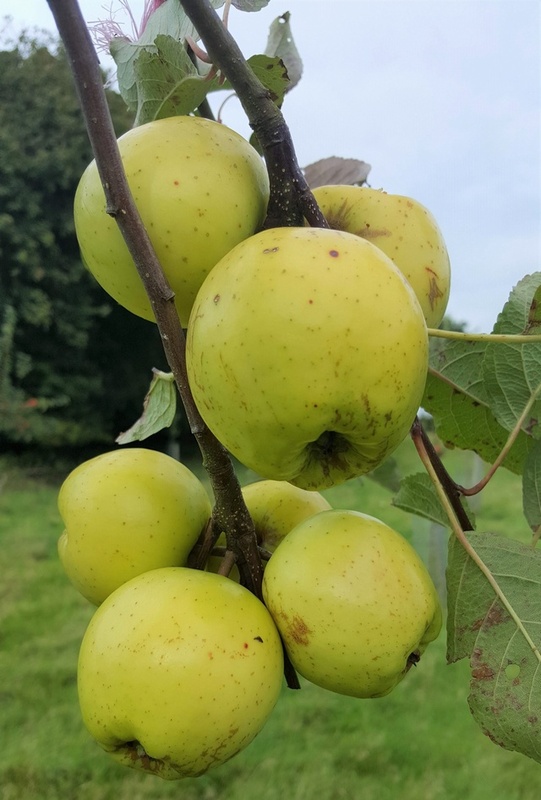 Dufflin - Cider Apple Tree £12.75 - Cider Apples - Sharp and Bittersharp Apple Trees and Fruit Trees For Sale. Buy at competitive prices with wholesale discounts. Dufflin is an old Cornish variety, with records going back to the mid 19th century. The apples have a very high sugar content, adding a sweetness to the mild-bittersharp, citric qualities of its juice. It makes a rich and full-bodied cider, good for blending. Trees are vigorous and will produce heavy crops. Also has some resistance to scab.